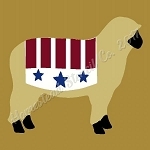 This Americana Stencil Category is full of wonderful nostalgic Olde Americana style flag and other designs. Our Reusable Sign Stencil to make your own Old Vintage primitive rustic wooden signs, Antique decor, wall canvases, Old Store Advertisement signs and much more. Check out the rest of our website with over 200 categories to choose from as well as.